In the following 300 years, ties evolved into the more simple and streamlined form we know of today, but through subtleties in color and pattern they continue to provide distinction to their wearer. A red tie, for instance, can signal charisma or authority, while a tie covered with hotdogs might send a different message altogether. That said, a tie is an accessory you want to get just right. Knotty Tie Co. makes it easy to do just that. 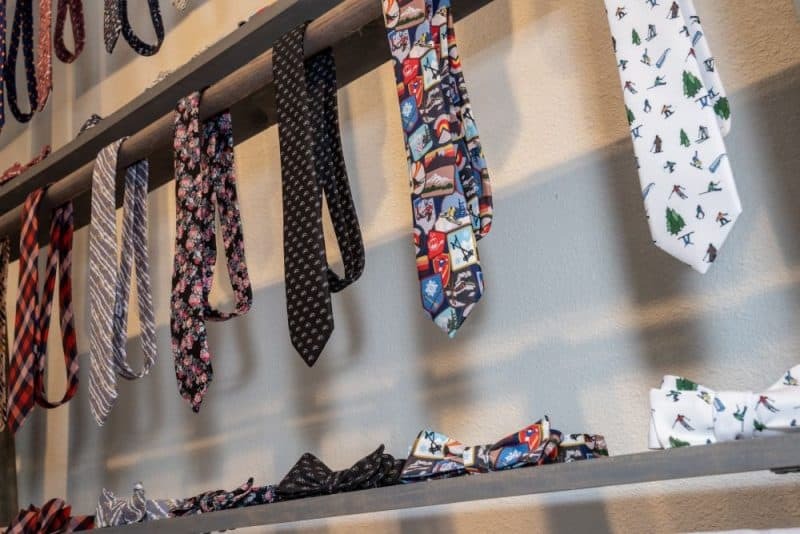 From its chic and accessible e-commerce site, customers can select and order ties from the comfort of their own homes. 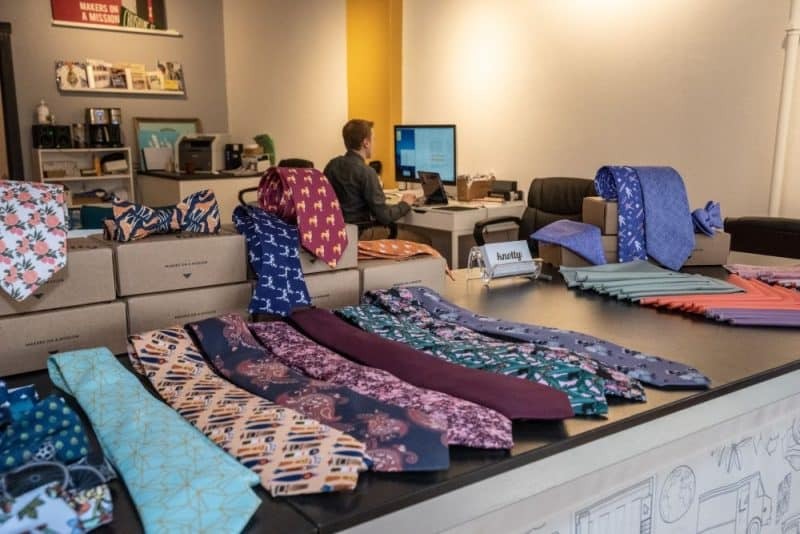 With over 350 patterns and 560 color options, they can design just the right tie, bowtie, or scarf for any occasion: from themed wedding attire to workplace swag, to a thoughtful gift for a loved one. They can even customize from scratch, entering their ideas on the website, which the company’s graphic designers will then mock up for them. It’s a unique company that creates unique ties. But even more distinctive is the story behind it. When we asked what he did to make his customers happy, President and CEO Jeremy Priest mentioned the phrase Made in America. What this means is that his company produces every tie in their facilities in Denver, Colorado. 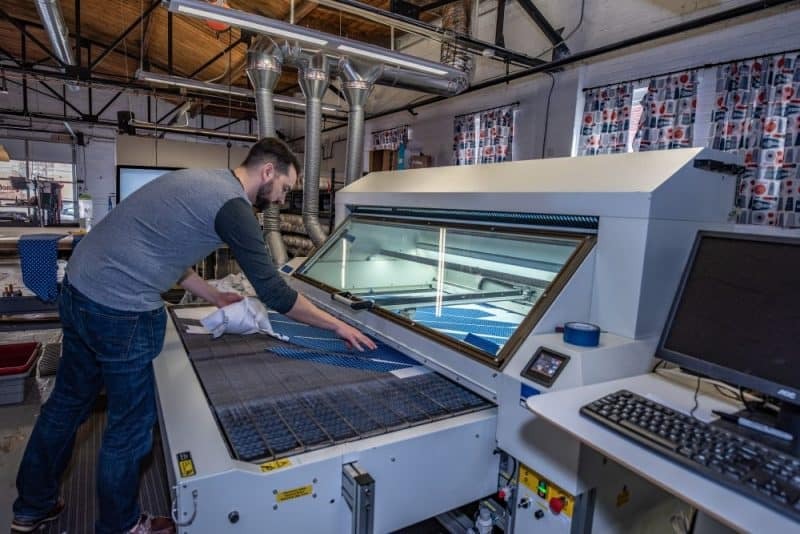 With equipment they bought and painstakingly learned how to operate, they print the patterns customers select onto quality fabric. Then they sew the fabric into ties — completely by hand. 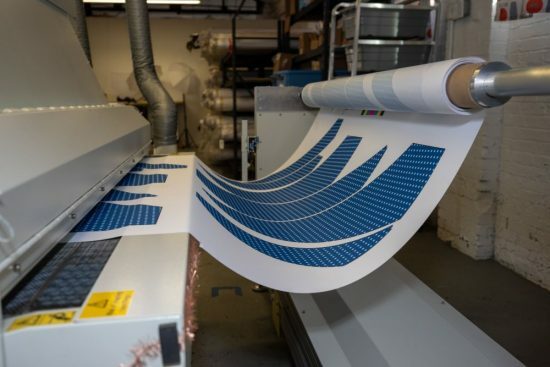 This allows them to produce small batches of customized ties in a relatively short amount of time, something their competitors, many of whom manufacture overseas, cannot deliver on. And it’s the mission of Knotty Tie Co. that truly makes it stand out. Surprisingly, it has less to do with customized ties, and more to do with the people who make them. 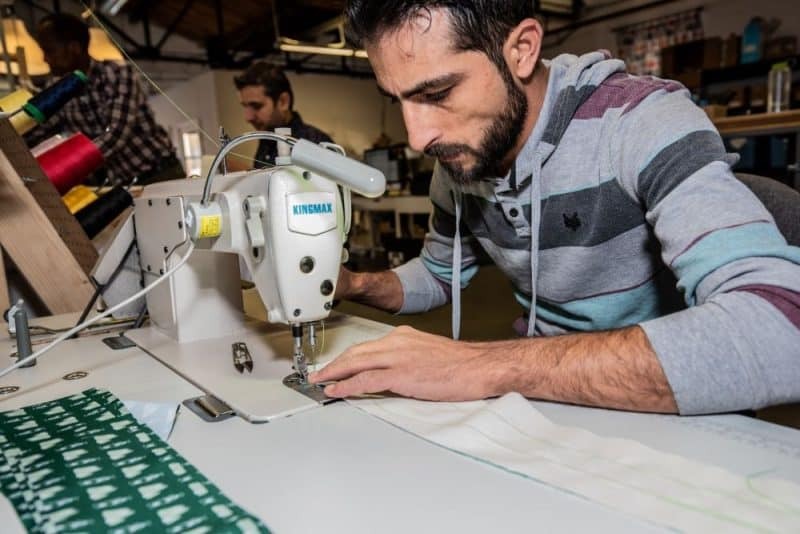 The employees who sew the final product by hand are all refugees who fled various conflict countries to start a new life in the US. And CEO Jeremy Priest’s mission is to provide them, and other refugees, with meaningful employment opportunities. Like most people, Jeremy didn’t initially enter adult life with enough belief in a cause to build an entire company around it. Instead, his convictions grew gradually through life experiences. Inside the store of Knotty Tie Co. This inspired him to study economics and get an MBA in entrepreneurship. At the same time he was pursuing his studies, he saw that there was a population with economic need in his very own community: the 2,000 refugees who set roots down in Colorado each year. 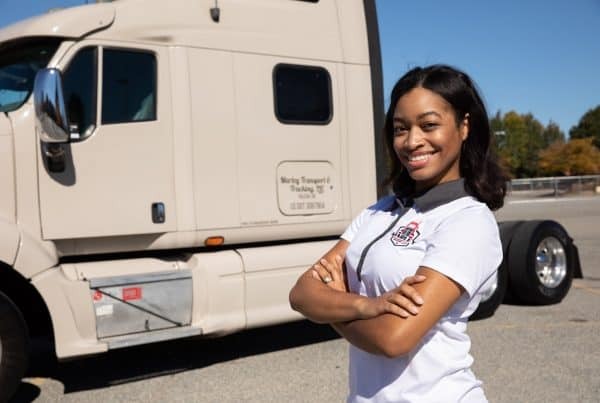 “I really recognized that there were enormous barriers to employment and that society generically wasn’t really recognizing the barriers, and wasn’t recognizing the dignity of the arriving population and the contributions they could make,” Jeremy said. Instead, many refugees had to take random jobs with odd hours as they struggled to transition to their new lives. Thankfully, there were non-profit programs that helped refugees transition, providing English classes and developing their job skills. Jeremy volunteered for one of those programs. But a key interaction in 2011 convinced him his clients needed something more. He was training two refugees in janitorial skills when they told him they had 20 years’ experience in sewing and a lifetime of experience in farming. In “a crisis of his conscience,” he realized he was training them in the wrong skills. “I appreciated the resettlement agencies…But to me it seemed like there was just something missing — and that was the connection between [the refugees’] existing skills and the employment pathways we should be putting them in touch with.” And that made it less meaningful for them. Thus began an effort to convince the non-profit to not only train the refugees in basics, but employ them in their existing skills, namely sewing. But when Jeremy realized this was outside the scope of the program, he began to take matters into his own hands. Raising up his own enterprise to employ refugees in meaningful work was no easy task. In the beginning, it was just Jeremy and his undergrad classmate and co-founder Mark — and they had to scrap it. “Truth be told Mark and I were just so broke that we didn’t have cars,” Jeremy told us when talking about the early days of his company. 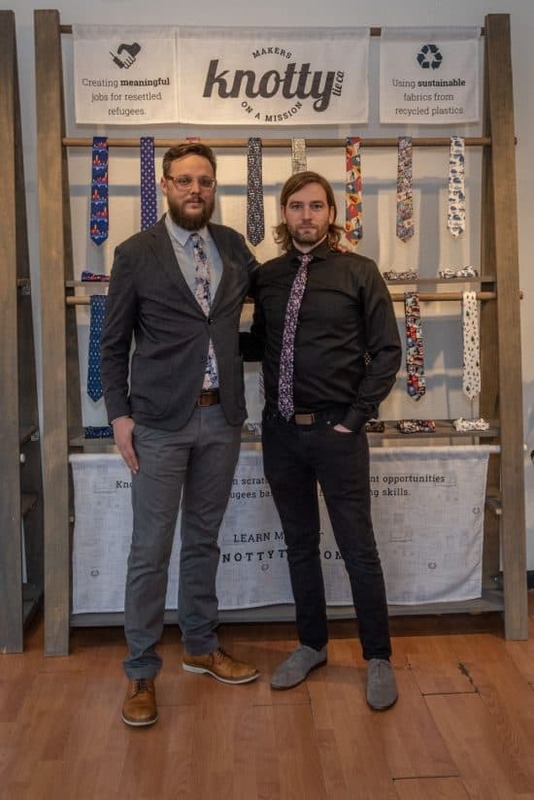 “Our first office was in an artist collective and we had to be able to walk there.” During their Kickstarter campaign in 2013, the two frantically produced ties, Mark in the afternoon after his shift at a cafe, and Jeremy all day before his night classes. As the company took shape, they sought investors who would fund them despite them not having a high credit score. 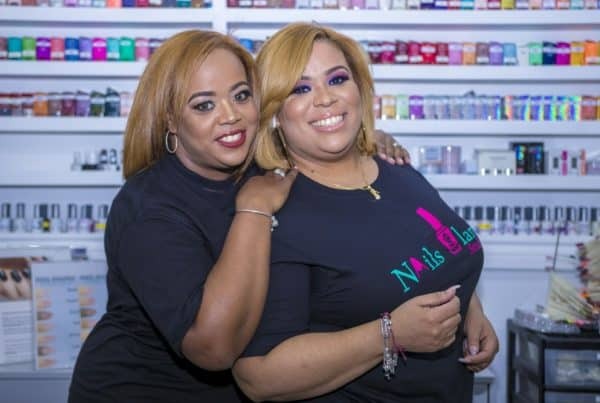 Thankfully an impact investor gave them seed funding of $40,000, and with it the valuable affirmation that their idea was worth all those long hours. This enabled them to hire two refugees with sewing experience and purchase some equipment to scale their efforts. It also qualified them to receive a loan of $10,000 from Colorado Enterprise Fund, a CDFI in CNote’s network. With the money, Jeremy and Mark were able to meet payroll and purchase more equipment. 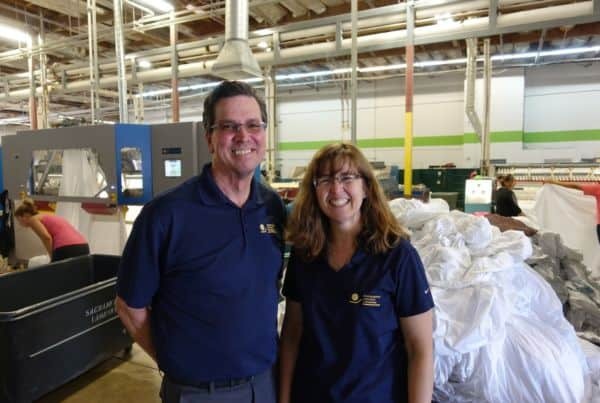 Later, when Jeremy showed CEF they could cut costs by two-thirds by manufacturing in-house, they provided a second loan of $100,000 to buy their own textile machinery. 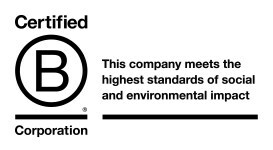 It was through CEF that Knotty Tie was able to fully implement its Made in America business model. Meanwhile, Mark, who was talented in technology, had taught himself graphic design and e-commerce and taken classes in full-stack web development, all of which equipped him to make the beautiful storefront website we see today. With his signature eloquence, Jeremy told us of his future plans. His vision–both lofty and inspiring–includes developing business models to employ refugees even in camps overseas. But for now, he is focusing on the tie company, which he hopes to make a shining example of refugee resettlement enterprises to the world. We think he’s doing a good job of it. 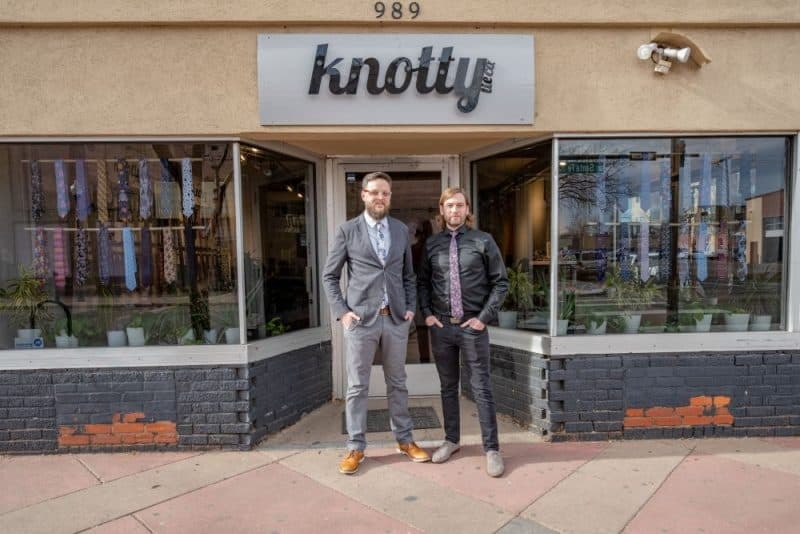 To date, Knotty Tie has a formal board of manufacturers consisting of seven members. Additionally, it employs six sewing refugees, two of whom have started college courses to pursue careers in fashion design. One Congolese refugee named Marc currently serves on the board as production manager. In the future, he wants to start his own small business. The Colorado Enterprise Fund, was founded in 1976 and is a non-profit lending institution that offers loans to entrepreneurs and small businesses unable to get traditional bank financing. For over 40 years, Colorado Enterprise Fund has been helping people realize their dreams of starting and growing their own businesses. Knotty Ties – Visit their e-commerce store and buy custom ties for any occasion here. CNote – Interested in helping create another success story? CNote makes it easy to invest in great CDFIs like the CEF The Colorado Enterprise Fund, helping you earn more while having a positive impact on businesses and communities across America.